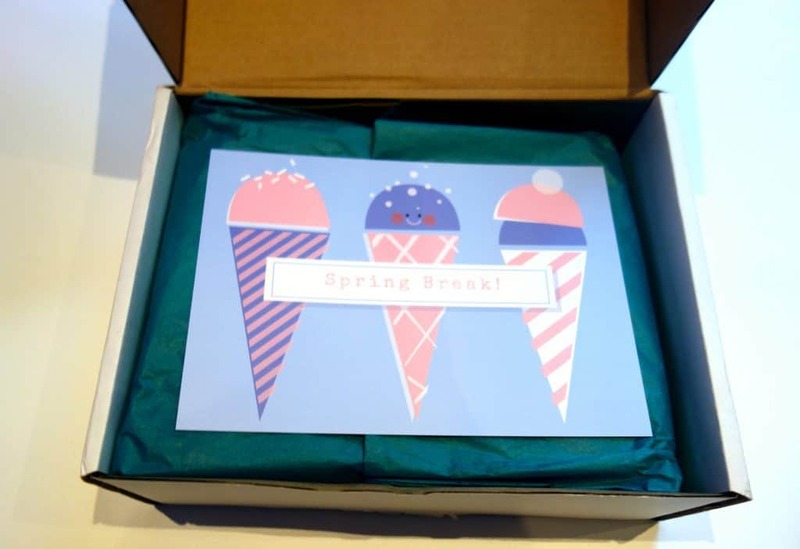 For April, the Bright Paper Packages team are endorsing a spring break. The long Easter weekend brings four glorious days where many of us travel home or away, desperate for a taste of the rejuvenating spring weather. 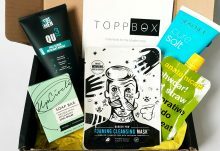 All items in this month’s subscription box have a getaway in mind, giving subscribers some aids to tote along on their adventures. 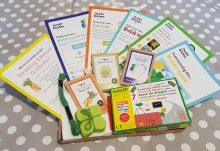 Leave it to the Bright Paper Packages team to put together a box of vibrant, unique accessories to make the already exciting prospect of a holiday even better. 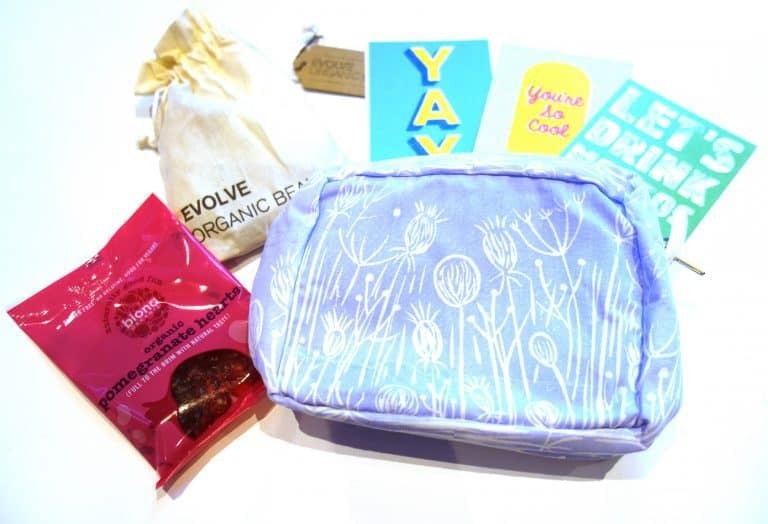 The ethos behind the box is to bring a curated box of surprises to each recipient, all while supporting locally based independent artists, designers and manufacturers. Every theme is chosen carefully to showcase some eye-catching items and this month’s collection is no different. Opening the box, everything is bundled up in colourful tissue paper and striped sweet bags, ready to be revealed one by one. Tearing into everything never ceases to be thrilling because you never know what pragmatic or quirky finds are inside. 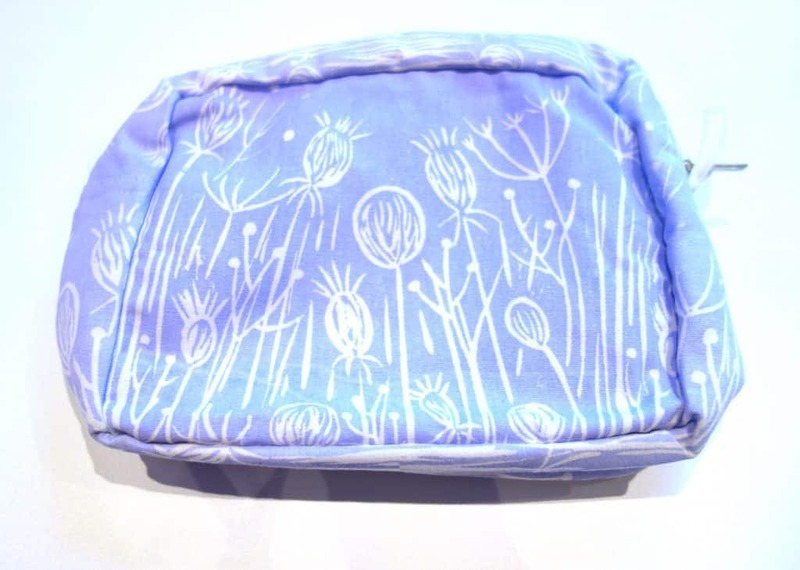 The largest item in this month’s box is a baby blue screenprinted wash bag from designer Sarah Bells. The practicality of a good wash bag can’t be denied, and this is an attractive piece with an original floral print on the exterior. Inside, the bag is study and looks like it will wipe clean easily, making it the ideal functional/attractive mix. It’s also pretty roomy and perfect to throw into a weekend bag or a gym bag. The second item comes in a burlap drawstring bag, where three bottles are contained. 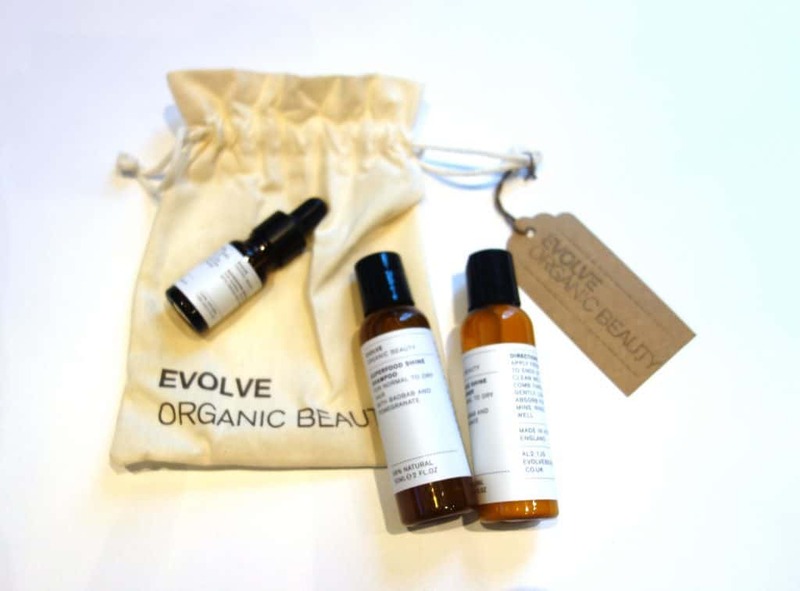 This is an organic hair essentials kit from Evolve Organic Beauty that includes a shampoo, conditioner and hair oil. All contain baobab protein, which is said to render your locks both soft and shiny, and are small batch artisanal products. 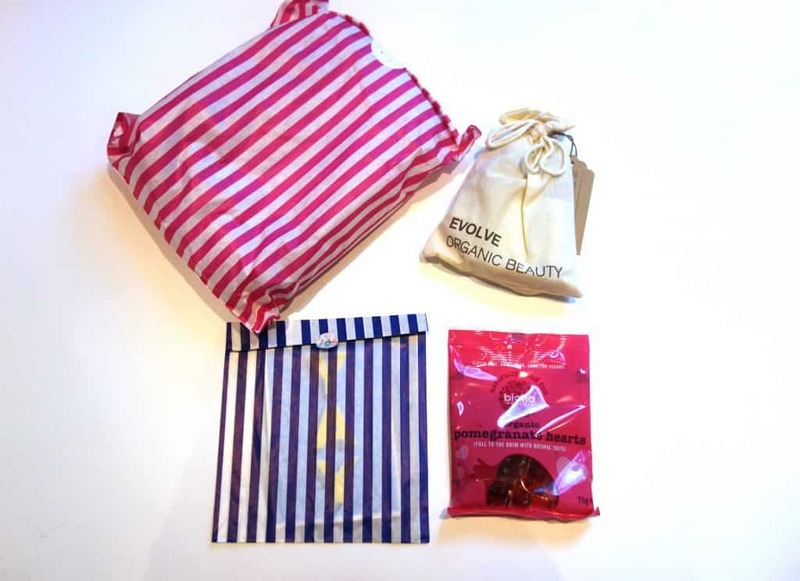 They are travel size, making them perfect to pop into your wash bag and no have to worry about settling for cheap hotel freebies. The hair oil is very fancy, packaged in a small bottle with a dropper – two drops are worked into wet or dry hair for intense nourishment. They all smell delightful too, making these easy products to love and use. Stationery from 1973 has appeared in previous Bright Paper Packages boxes and I’m a big fan, so I was delighted to find the letterpress postcards tucked inside April’s items. If you need to send your friends (or your mum) a brief message or thoughts while travelling, these will do the trick. 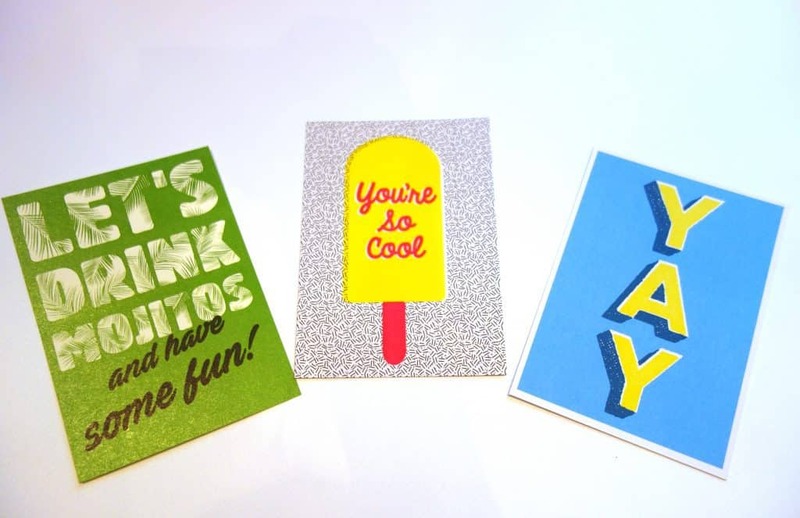 They’re bright and cheery enough that you’ll just want stick these to your wall, though. There are three designs, all very bold and eye-catching. 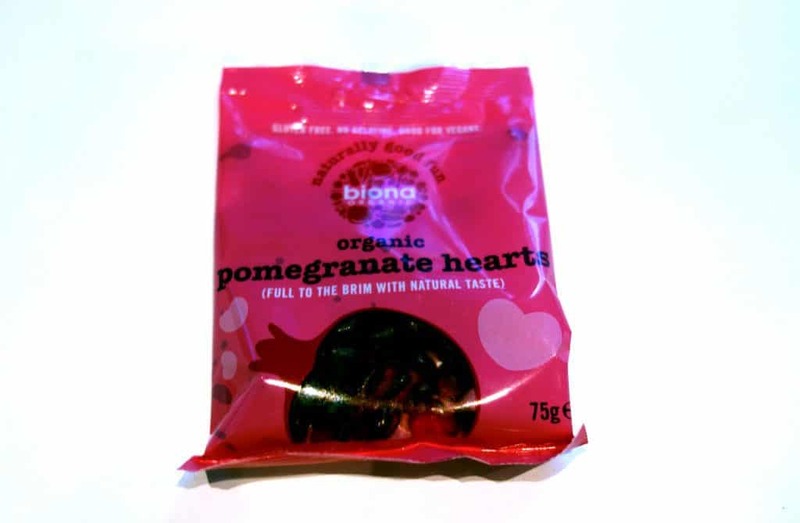 Finally, you can’t hop on a train or a plane without something sweet to keep your spirits up, so the organic pomegranate hearts from Biona will do the trick. Being both vegan and gluten free, these chewy bites are juicy and won’t last long – they’re guilt-free too, though, so no regrets. My bag didn’t last long enough to be taken en route anywhere, as I was running late after the gym and needed a healthy pick-me-up. They did the trick and were happily inhaled. After unpacking this month’s box, I’m definitely ready for a break from the city in style. Thankfully, I have a few long weekends planned in the coming months to put everything to good use. Vacation is style with Bright Paper Packages - you'll always have some envy-inducing accessories on hand thanks to this box.